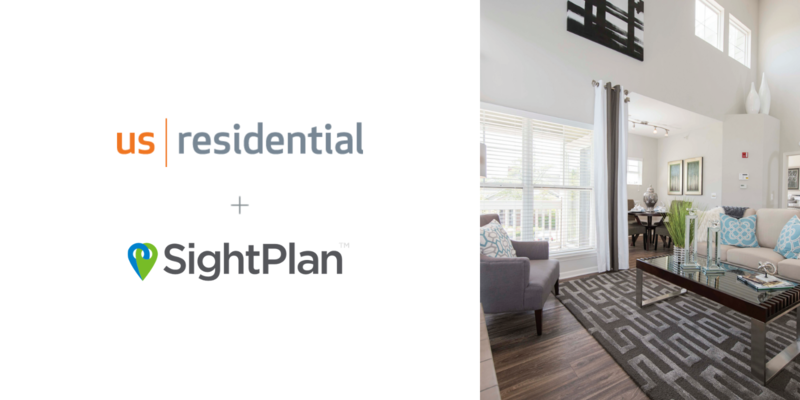 US Residential, one of the nation’s largest and more progressive third-party property management companies, has partnered with SightPlan to implement a portfolio-wide technology platform to secure resident loyalty and streamline operations. US Residential established a goal of ensuring resident calls are reaching the right on-site and regional management staff members quickly and consistently. By leveraging SightPlan’s Answering Service, US Residential can direct resident calls to the appropriate team members, improving resolution times and increasing accountability. "SightPlan’s Answering Service has made it even more likely that residents can get their needs met on their first call and is elevating our culture of accountability. Our biggest priority is, of course, our residents, and with SightPlan’s help we’re even better prepared to serve their needs,” says Stephanie Brock, President at US Residential. SightPlan’s Answering Service will be utilized across US Residential’s more than 24,000 units throughout the country, helping to standardize best practices, creating consistency in service levels and positioning US Residential for even more portfolio growth. US Residential is one of the nation’s largest third-party property management companies. With a people-first operating strategy, a hand curated leadership team, and an innovative ecosystem, the company is taking the concept of property management to exciting new heights. Headquartered in Dallas, USResidential has a presence in more than 50 markets representing more than 24,000 units.